We recently saw some leaked photos of the new Vision Mercedes Maybach 6 and the car is now official and we have some official photos of this luxury coupe. 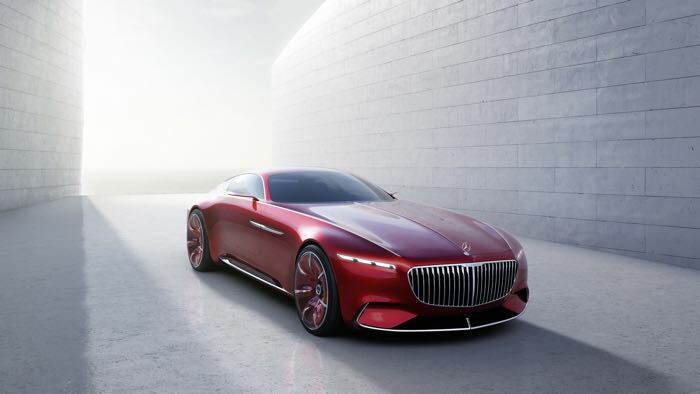 The Vision Mercedes Maybach 6 is an electric vehicle and it will come with a drive system that has 550 kW which is around 550 horsepower, it will also have a range of 500 kilometres. You can find out more information about the new Vision Mercedes Maybach 6 over at Mercedes at the link below.